Is The Philippines Safe For Tourists? Yes! The Philippines is a beautiful country in Southeast Asia with more than 7,100 islands, and thus tons of beaches, palm trees and wildlife. Even more, Filipinos are known around the world to be the most friendliest and hospitable people. But here's the bad news: Some parts of the Philippines are dangerous. For example, there is an ongoing conflict in Zamboanga City in the Southern Philippines where Muslim rebels have killed more than 100 people and left more than 200 people wounded. The conflicts have also left thousands of families displaced. So is the Philippines safe for tourists? Yes! 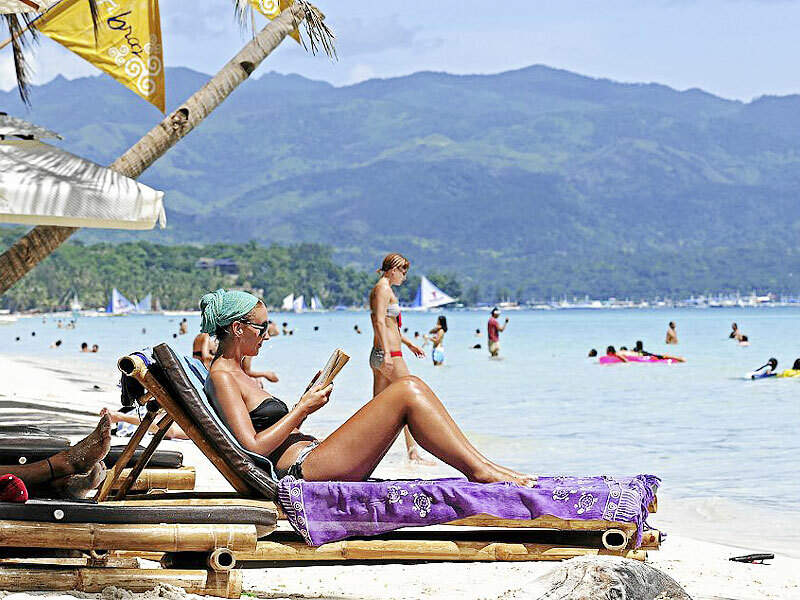 Every year, nearly 5.5 million tourists take a vacation in the Philippines. Also, more than 1 million non-Filipinos live in the country. The vast majority of these have a safe time while in the country, but as in any country, there are some places to avoid. For example, if you traveled to New York City in the United States - it would be a relatively safe trip for you, unless you decided to visit certain parts that are known for high crime rates. Despite Some Dangerous Parts, The Philippines Is Very Safe! The safest parts of the Philippines for tourists are the big cities and the tourist areas. For example, most parts of Manila, Cebu, Davao City, Boracay, Palawan, Bohol, Puerto Vallera, Baguio City, etc. These destinations have proven to be very safe for tourists, and many foreigners feel very secure and welcomed. Even more, places like Boracay and even Palawan have a huge presence of tourist police - a special police unit dedicated to protecting tourists and visitors. Places to avoid would be Zamboanga City, and most other places in the Sulu Archipelago and the southern island of Mindanao. Tourists should also use caution in some parts of Manila that are known for high crime, such as Tondo or Quiapo. Of course, as in any country, areas that are dark and look suspicious should be avoided, and women should travel with a companion.